It wouldn’t be Christmas if you weren’t a little depressed, but Theatreworks’production of Conor McPherson’s The Seafarer pushes the envelope with a menu of drunken Irishmen, repulsive relatives, fist fights, disgusting bodily functions, arguments, loneliness, gambling, and regret …and that’s all before Satan knocks on the door! There are fun, light moments born out of the depression of this Dublin dwelling. Ivan (John Ahlin) is a clown of a grown man who is too drunk and foolish to find his car and glasses after an all-nighter, but is relentless in his crusade to track down one more swig of whiskey. Richard (Edmond Genest) authentically masters the art of all things revolting from self stench to toilet trouble to a boil on his, well…it has to be seen to be believed. But at its core, the piece explores the dark tones of the human experience. Sharky (Dean Nolen) made a deal with a devil of sorts over 20 years ago that comes back to haunt him on Christmas Eve. When Sharky is forced to confront his troubled past, Nolen delivers a contained and agonizing collapse that is heartrendingly inspired. Sharky’s brother Richard (Genest) portrays a real codger of an old man who is steeped in human failure. The brothers’ dilapidated home oozes with the hopelessness that emerges from every new day being just a little bit worse and yet just barely different than the last. McPherson carves out a world of existential angst fueled by massive quantities of alcohol. Fortunately, he also provides us a flicker of hope before the curtain comes down. Chris Genebach (Nicky) and Allen McCullough (Mr. Lockhart) round out this talented cast. Director Henry Wishcamper brings all 5 men to sad life. Take advantage of this dysfunctional Christmas gift before it’s gone on December 21st! Folk troubadour and Berkshire resident Arlo Guthrie brought his Lost World Tour before a full house hometown crowd with a Rock n' Roll band which included his son Abe Guthrie on keyboards. The Colonial was an acoustically perfect fit for Guthrie's brand of folk-rockin' music. Armed with a 12-string guitar and harmonica, he strummed an early period love song, "The Chilling of the Evening" with drummer Terry a la Berry's punctuated beats keeping time. They performed a comical version of "In The Shade of the Old Apple Tree" with typical Guthrie humor throughout. Guthrie introduced a trio of women, the Burns Sisters, who provided harmony back-up singing on "St. James Infirmary" as he played the ragtimey fingerpicking gambler's blues on his acoustic 6-string guitar. Guthrie's playing is primarily folk-based, but his use of country style flat-picking was evident on his father's song, "Do-Ri-Me" with accompaniement on fiddle by Bobby Sweet. The songs performed were representative of a large variety of styles from a rocked up version of "The Motorcycle Song" to an instrumental piece from the 90's television show, "Byrds of Paradise" in which he appeared. "Coming into Los Angeles" featured great solo keyboard work by Abe Guthrie and an extended electric guitar solo by Bobby Sweet. The first half ended with a rousing Leadbelly tune, "Alabama Bound." Guthrie opened the second half with a pretty Hoyt Axton song, "Evangeline," and followed with a song written about Axton by Guthrie -- the whimsical "My Old Friend." He moved to piano and plunked out a boogie with "I'm Changing My Name to Fannie Mae" as well as his 1972 hit "City of New Orleans." He debuted his folk rocker "Ride until the Morning Comes" with good response. The closer was the sing-a-long, "This Land is Your Land." After a standing ovation, he performed the prayer song, "Forgiveness and Love" and his father's "My Peace," both of which received standing ovations. A sold-out house honored local luminaries Barbara Bernard and Seymour Frankel in Panache Production of "Love Letters," one of celebrated playwright A. R. Gurney’s most popular plays. In this deceptively simple two-character play, Melissa (Bernard) and Andy (Frankel) sit side by side in chairs miles apart re-reading their life-long correspondence that began with cryptic notes exchanged in the second grade. On the surface, when wasp meets wasp, nothing happens; but beneath a veneer of propriety, mixed and misunderstood emotions conflict with The Establishment, a society almost as restrictive as Edith Wharton described in "The Age of Innocence." Well-behaved Andy is fascinated by Melissa’s moth-like dance with the flame. She epitomizes the poor-little-rich-girl cliché whose fairy-tale comforts are profoundly damaged. Rebellion is her defense: she shocks Andy’s button-downed facade with outbursts of reality. He rebels during a brief naval career by falling in love with a Japanese woman. Through his family’s velvet- glove pressure, Andy gives up the relationship, returns home, and resumes climbing the tradition-approved ladder. Frankel’s Andy is calm and proper. His measured reasoning befits a Yale-educated attorney. His affection for the outwardly flighty Melissa is as constant as hers for him. During their boarding school days, Andy writes of being told he’s a diamond in the rough: "I’ll write again as soon as I’m smoother." Melissa flashes back, "Don’t let them smooth you out. I love your rough spots." Bernard’s Melissa is a cauldron of conflicting emotions but throughout, her feistiness prevails. Together, Bernard and Frankel breathe life into Melissa’s and Andy’s letters. In Andy’s words, Melissa "was the heart of my life." Panache’s 10th season opener has paired seven other area celebrities in one-night performances, with WHYN radio personalities Kim Zachary and Dan Williams on November 16th. One of the world’s most renowned choreographers revived three popular classics that helped shape what contemporary dance is today. Spending six decades in dance, Paul Taylor brought his creativeness to a new audience. Arden Court opened the evening with romantic elegance set to music by Baroque composer, William Boyce. With a background reminiscent of local artist Donna Estabrook, the dancers braided themselves within one another moving through syncopated jumps and turns, to simply walking across the stage. As much as Arden Court was about love, Eventide was about love lost. Set to the bittersweet Suite for Viola and Orchestra and Hymn-Tune Prelude, the dancing focused on couples coming together only to be separated in the end. One of the most poignant moments came at the end when couples walked toward each other in a line, but were then pulled apart by an unseen force. The final couple reached for each other, but only in vain. The last piece, Le Sacre Du Printemps (The Rehearsal), was quite different from the previous two, and shows off Taylor’s sense of humor. The context is a ballet company rehearsing for a detective-type ballet. There were the usual characters --The Girl, The Private Eye, The Crook, The Mistress, Henchmen and Police etc. Although it became difficult to discern the many layered plots, the dancers infused each character with real emotion. Just like a real Whodunit, there were surprises and twists that evoked shock and laughter. With a collection of over 128 pieces, Taylor might want to consider his new audience and bring back even more! 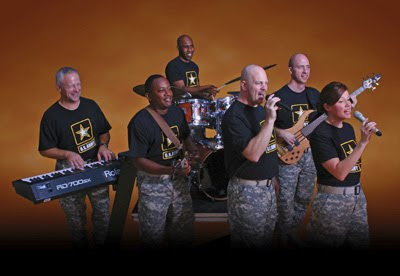 This band of professionals from Washington, DC will perform an eclectic array of music from pop to ballads, country to Broadway, not to mention a patriotic medley. While the concert is free, tickets must be obtained. Write a note requesting the number of tickets desired (up to 4) and send with a self-addressed stamped envelope to: US Army Band, West Springfield Park Department, 26 Central Street, West Springfield, MA 01089. Rain or shine, sleet or snow, the show will go on. Sponsored by: West Springfield Park & Recreation, West Springfield Department of Veterans Services, and In the Spotlight. This one-woman play presents Haley Walker, the charismatic heroine with a sharp wit and an unsinkable determination to pursue the promise of new love, even while providing for her daughter and running a business in a sometimes unforgiving city. But that doesn’t mean it’s going to be easy. 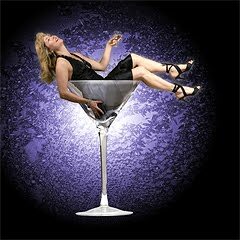 Shakes & Co.'s disarming and critically acclaimed comedic actress Elizabeth Aspenlieder stars in this hilarious Berkshire-premiere play. "Bad Dates" is performed in the new and new Elayne P. Bernstein Theatre. To purchase tickets call (413) 637-3353 or check the website at www.shakespeare.org. Springfield Symphony Orchestra's full-to-capacity house featured a bevy of rhapsodic rhythms with a diverse menagerie of fairly contemporary composers and performers. At the top of the program, with Mexican composer and violinist, Silvestra Revueltas' Sensemaya, and, at the bottom of the program was French composer Maurice Ravel's "…only masterpiece" "Bolero." The "meat" in the middle featured German composer Paul Hindemith's "Symphonic Metamorphosis On Themes of Carl Maria Von Weber." This modern, symphonic four movement thriller featured a lovely oboe solo in the Allegro movement, as well as a purely beautiful flute solo in the (II) Turandot: Scherzo movement. Much could be said for this musically packed evening, but if Hindemith were the peanut butter part of the program (yummy), then Sergay Rachmaninov's Rhapsody on a Theme of Paganini" is the jelly. Rachmaninov and Paganini , in one sentence is a mouth full, to say the very least. Now you ask can it get better? The answer is definitively yes! Young pianist, Aviram Reichart, an Israeli born genius, frequently performs for the leading orchestras of his country, in addition to such places as Japan, Korea, Dominican Republic, South Africa, Germany and the United States. Paganini's variations, by themselves, are a study of virtuosic calisthenics, then along comes Rackmoninov throwing in a bunch of rather clever harmonization's, "Rack rhythms" (eccentric) and, of course the usual moodiness (borderline depression), which plagued the composer, performer and pianist most of his life. Reichart played Rackmoninov and Paganini masterfully. He was talented and emotional; serious and serene. He had a very close connection to his orchestra and a reverently respectful relationship with Maestro Kevin Rhodes. The evening was a night of masterful music, packing more power than most lay people could or would learn in a lifetime. Bravo, SSO. Multi-instrumentalist and musical interpreter of American folk and blues artist Taj Mahal wowed the full house audience at the Mahaiwe. His repertoire spanned from his early 70s acoustic country blues "Fishin' Blues" and "Queen Bee" to the more hip-shakin' electric blues from his later years. He gave a shout out to Springfield where he grew up. Later, he caught a soul-blues groove of musical expression early on with "Checkin' up on my Baby" and "E Z Rider." Mahal created a steamy soul sensation as he danced and called for the ladies to scream. He smiled broadly and cut into an easy rollin' blues in "You Don't Treat Me Like You Used To," which was the first song taught to him on guitar by North Carolina's Leonard Perry. During a lull in the diversity of music, he shifted to electric piano. A fan yelled out, "Yes We Can," as Mahal's comeback resounded, "Yes We Have" and he proceeded to pound out "Blues with a Feeling." With 40 years in the recording business, his music has showed no signs of slowing down and he has incorporated different rhythms that have been assimilated into his blues style. He played an upbeat bounce boogie shuffle called "I'm Gonna Move Up to the Country and Paint my Mailbox Blue" and followed with the pretty instrumental acoustic piece "Zanzibar" from his new CD, "Maestro." Incidentally, the singer has won two Grammys, most recently with 2000's "Shoutin' in Key" and the 1973 soundtrack to "Sounder" in which he played the role of Ike. To close the performance he played a celtic blues instrumental on banjo, which turned into an old school Mississippi chooglin' hoedown. Mahal danced his country blues banjo sound into the audience with everyone stompin' and dancing. He encored with a delicate song for 21st century lovers called "Lovin' in my Baby's Eyes," played on acoustic guitar.